Strike Fighter Squadron THREE ONE is the second oldest active US Navy squadron and boasts a proud, distinguished history. Its beginnings can be traced to the commissioning of the VF-1B Shooting Stars in July 1935, flying the Boeing F4B-4. 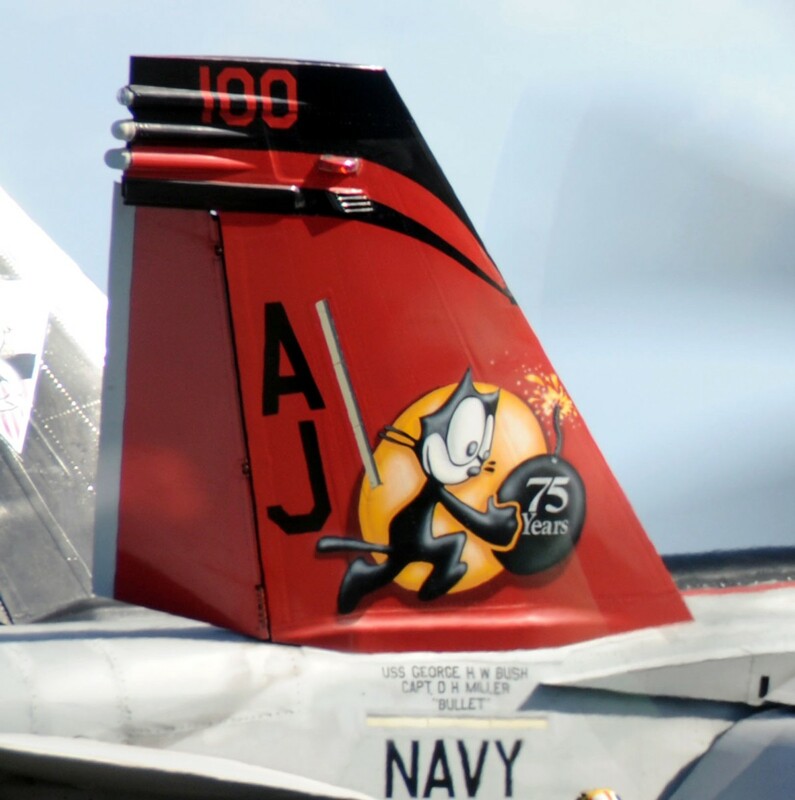 Over the years while displaying the “Felix the Cat” mascot, the squadron has flown under the designations of VF-6 (1937-1943), VF-3 (1943-1948), VF-31 (1948-2006), and finally VFA-31 (2006-Present). 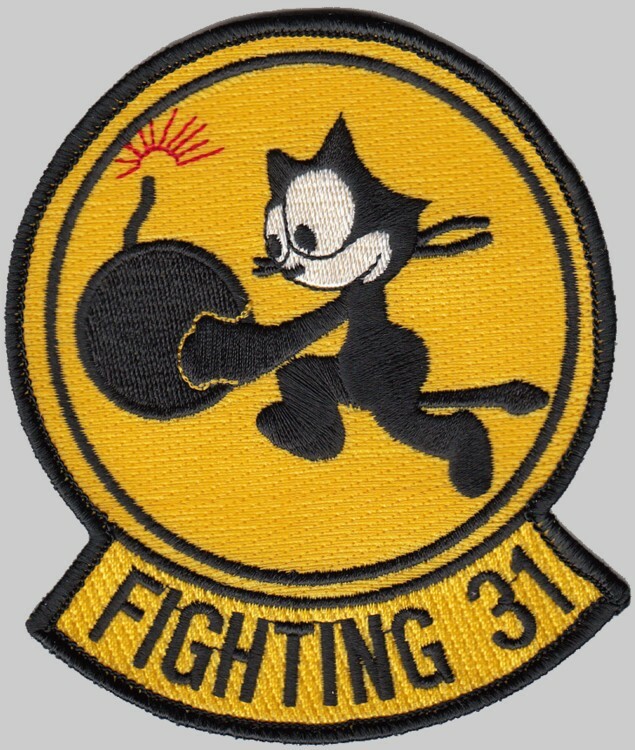 It was in 1946, under the designation of VF-3, that “Felix the Cat” officially became the squadron mascot. 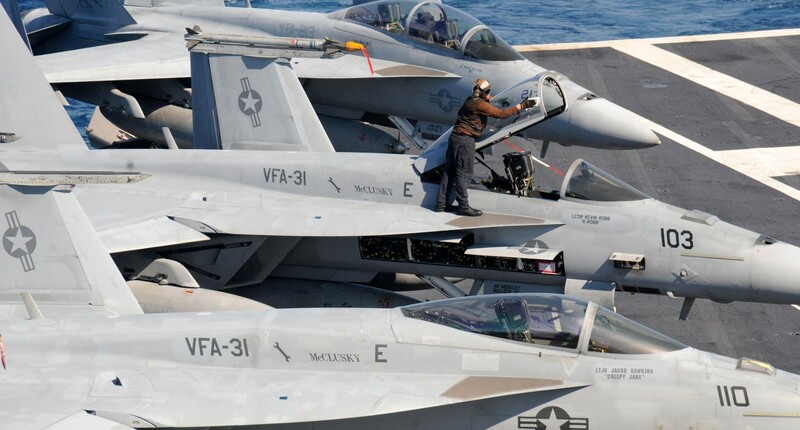 In 1948, VF-3 was re-designated VF-31, and adopted the current title of Tomcatters. During its distinguished history, the Tomcatters have flown a multitude of venerable aircraft including the F4B-4, F3F-2, F4F-4, F6F, F8F-1, F9F-2, F2H, F3H, F-3B, F-4B, F-4J, F-14A, F-14D and F/A-18E. Through the years the Tomcatters and their predecessors have served aboard the Navy’s finest aircraft carriers, including: USS Langley (CV-1); USS Lexington (CV-2); and the USS Enterprise (CV-6). In 1980 VF-31 and USS Saratoga (CV-60) concluded a 24-year period of continuous service together, the longest in naval history. 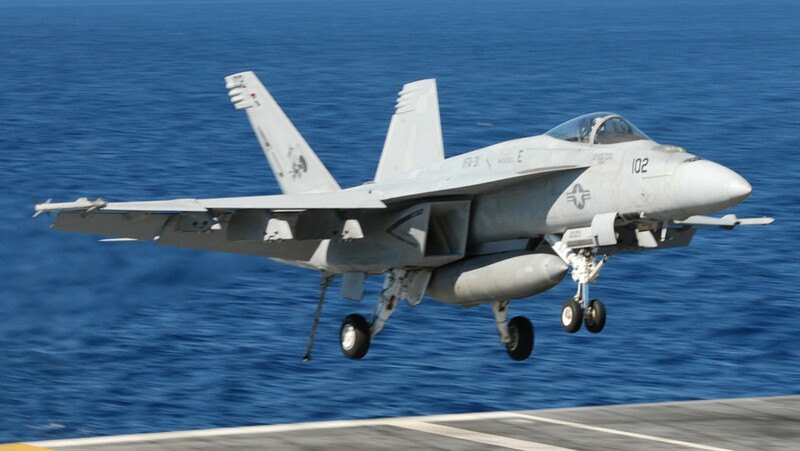 Since that time, the Tomcatters have served aboard USS Carl Vinson (CVN-70), USS Abraham Lincoln (CVN-72), USS John C. Stennis (CVN-74), USS Theodore Roosevelt (CVN-73), and USS George H. W. Bush (CVN-77). The squadron was aboard USS Enterprise during the bombing of Pearl Harbor as well as the Battles of Wake Island, Marcus Island, Coral Sea, Midway, Guadalcanal, and the Eastern Solomons. The squadron has seen aerial combat over the Philippines, Formosa, Okinawa and China. In 1972, flying the F-4J Phantom, CDR Sam "Speed" Flynn, the Tomcatter XO, shot down a MIG-21 over North Vietnam. 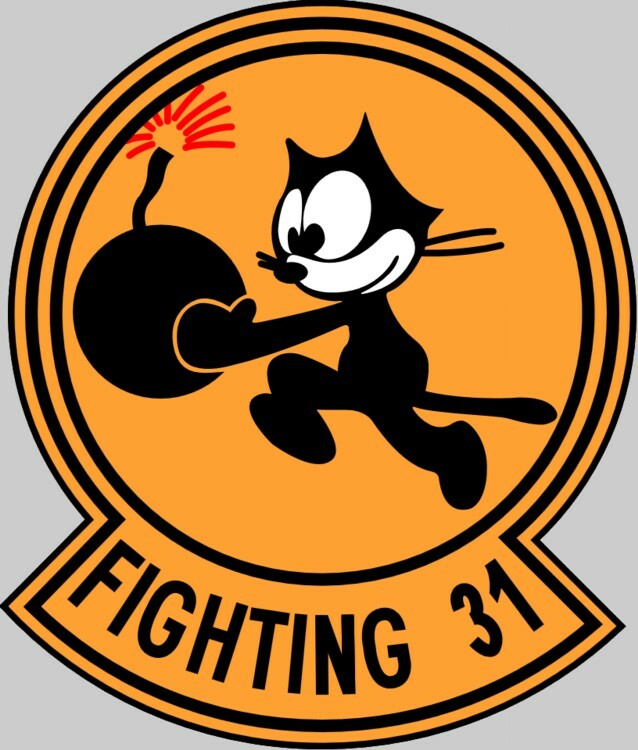 This accomplishment once again set the squadron above its peers by distinguishing VF-31 as the only Navy fighter squadron to achieve aerial victories in three wars - WWII, the Korean War, and the Vietnam War. Overall, the Tomcatters’ total combat experience includes fierce battles in virtually every theater of operation as well as regional conflicts all over the world. In late 1996 VF-31 returned from a Western Pacific deployment aboard USS Carl Vinson (CVN-70), flying in support of Operations SOUTHERN WATCH and DESERT STRIKE over the Arabian Gulf and southern Iraq. 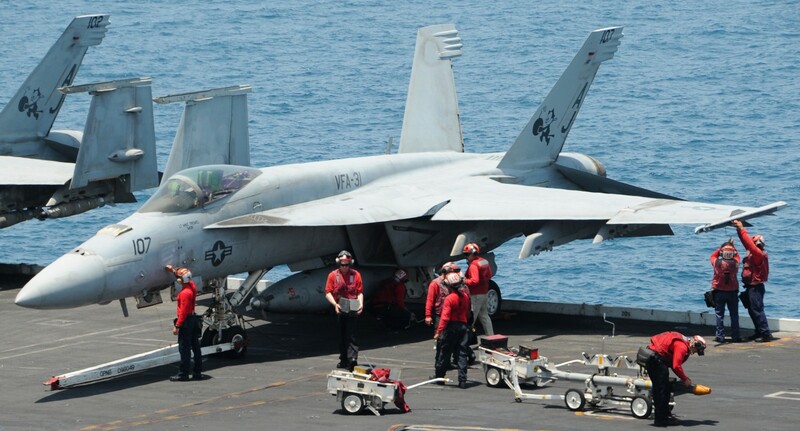 Two years later, the Tomcatters would deploy again, this time aboard USS Abraham Lincoln (CVN-72), in support of Operation SOUTHERN WATCH. 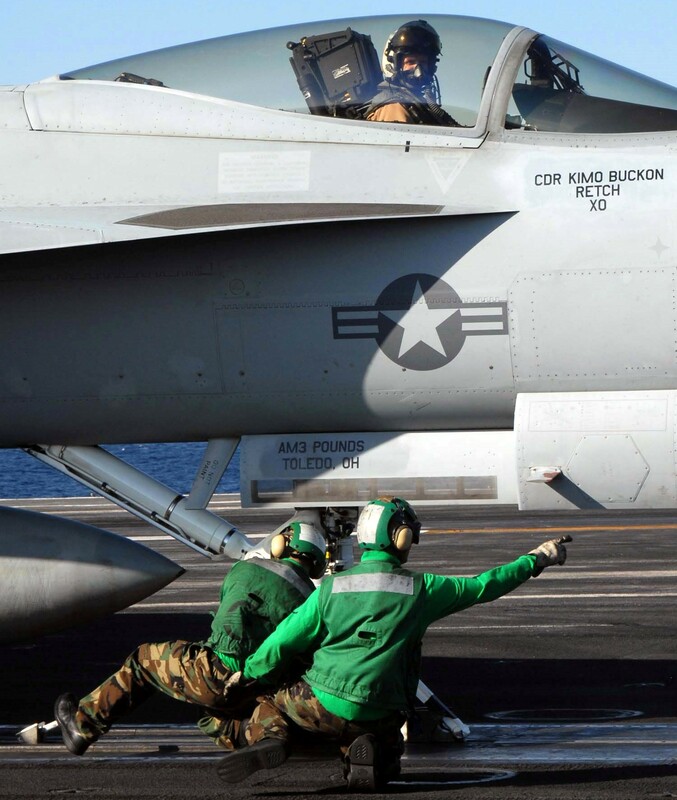 Following the September 11, attacks the squadron was once again called to the fight, and deployed on CVN-72 in July 2002, operating over Afghanistan in support of Operation ENDURING FREEDOM, and again over the skies of Iraq supporting SOUTHERN WATCH. 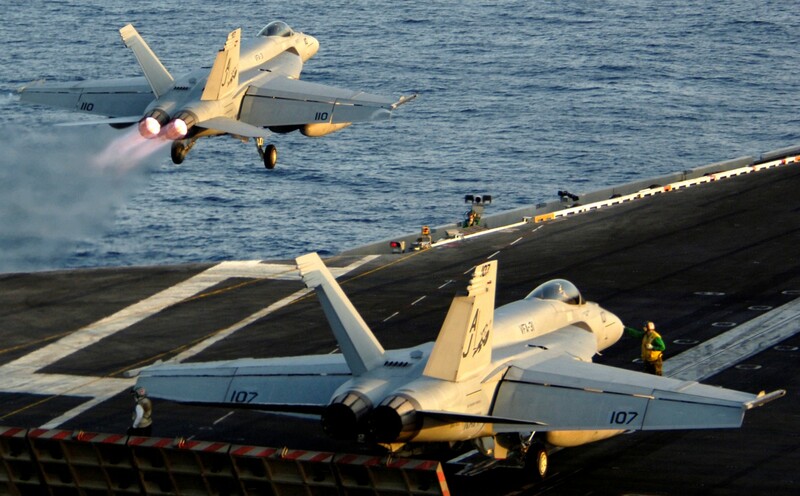 Shortly after their return home, VF-31, along with the rest of the battle group, was turned around on January 1, 2003 to ready the stage for the commencement of Operation IRAQI FREEDOM. 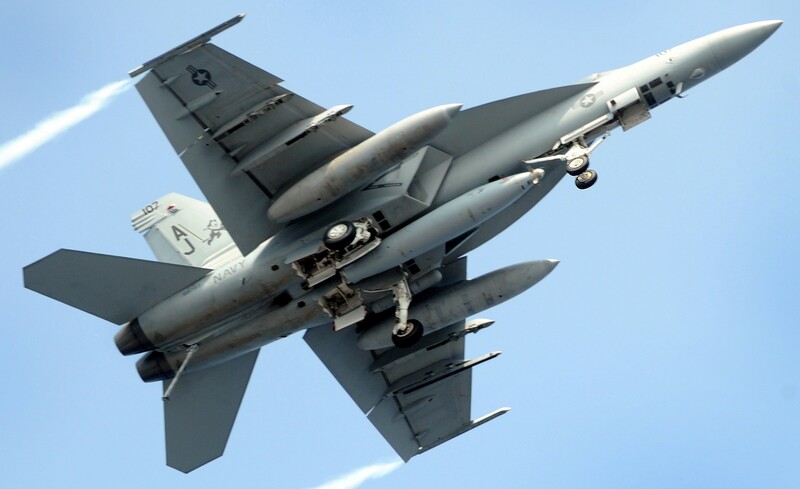 Flying from the first night of combat over Baghdad to the last day of the short war, VF-31 was individually responsible for delivering more than 230,000 tons of ordnance. 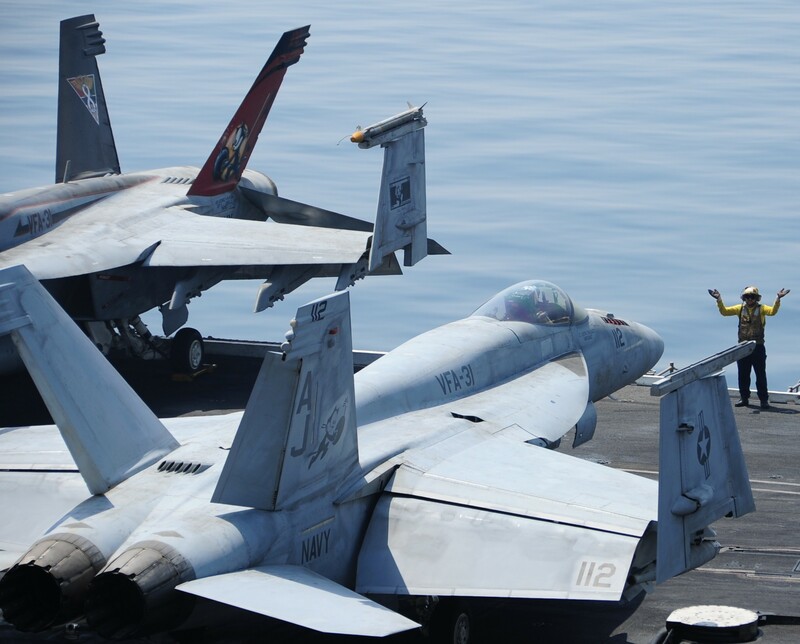 Following that historic cruise, Fighter Squadron THREE ONE marked the history books once again as they embarked with Carrier Air Wing EIGHT on the USS Theodore Roosevelt for the Navy’s last Tomcat deployment in September 2005. 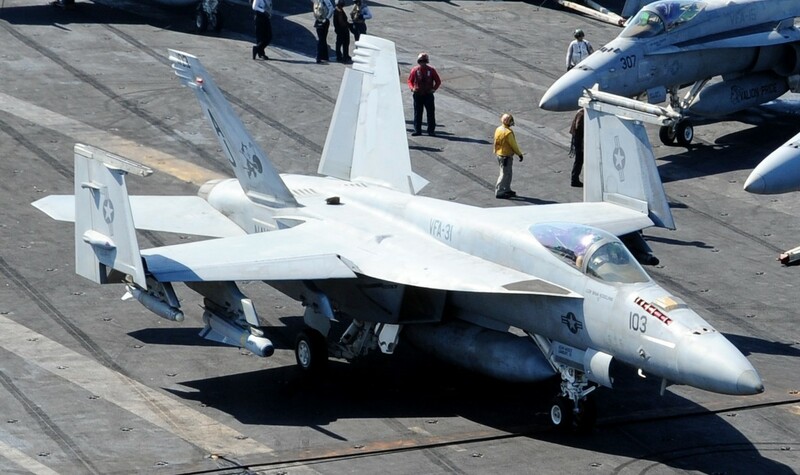 Upon return, the squadron began the transition to the F/A-18E Super Hornet and was redesignated Strike Fighter Squadron THREE ONE (VFA-31). 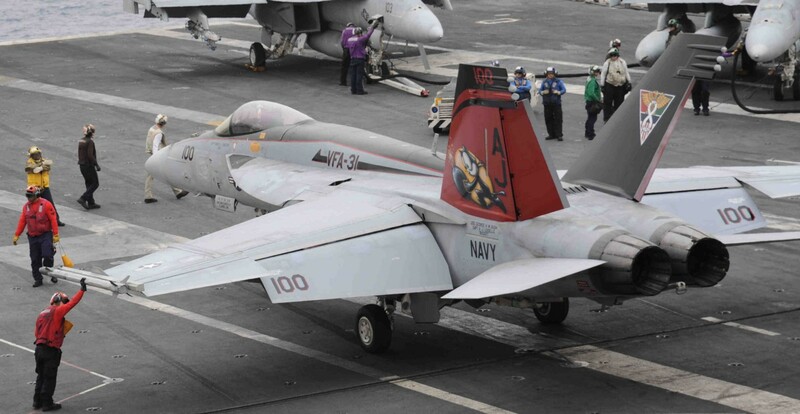 VFA-31 deployed onboard USS Theodore Roosevelt (CVN-71) for its first F/A-18E Super Hornet cruise in 2008. 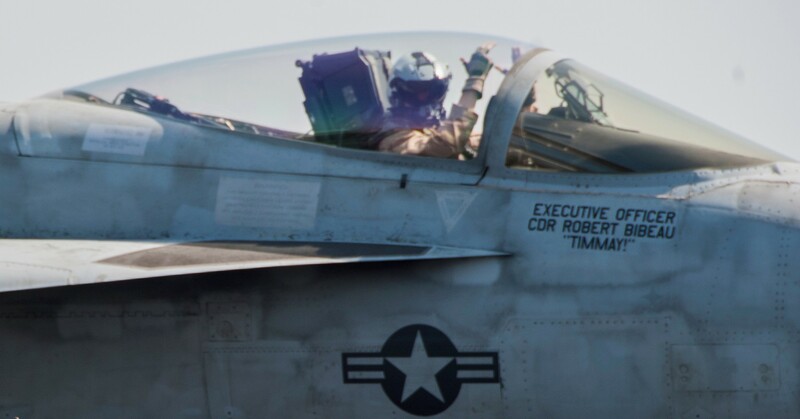 The Tomcatters dominated the skies above Afghanistan flying over 6,000 hours and 2,000 sorties in direct support of Operation ENDURING FREEDOM. 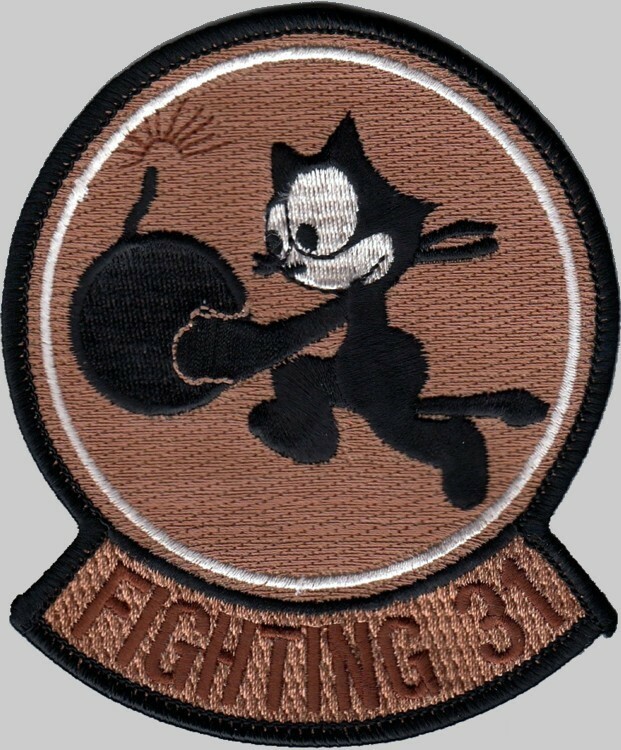 Through superior weapons, sophisticated technology, and unparalleled skill, Fighting 31 achieved 100% target destruction expending 31 Precision Guided Munitions. 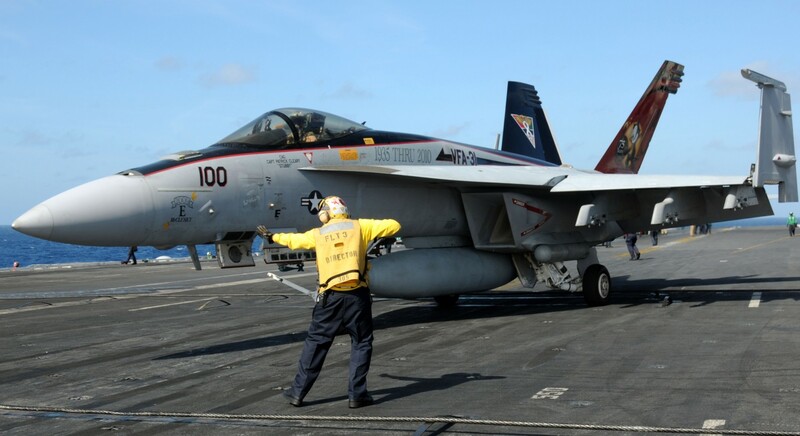 Most recently, Strike Fighter Squadron THREE ONE was called upon to support Operation ENDURING FREEDOM and Operation NEW DAWN onboard USS George H. W. Bush (CVN-77) for its maiden deployment. 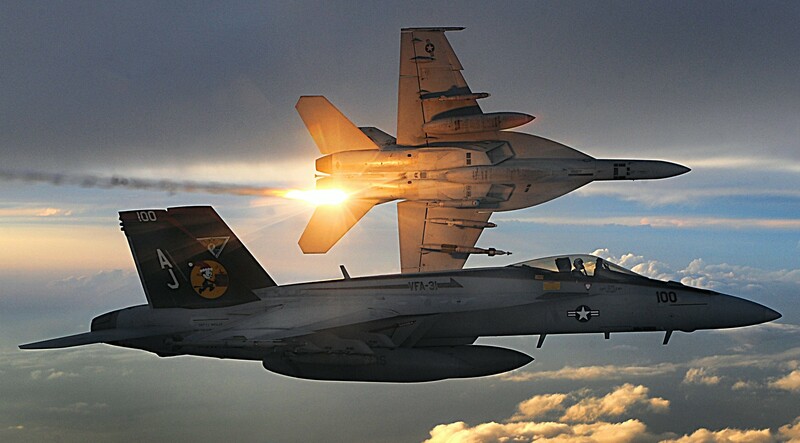 The Tomcatters flew over 2,000 sorties and employed over 13,000 pounds of precision guided munitions. The tactical prowess and combat effectiveness of Strike Fighter Squadron THREE ONE was proven once again with another target destruction rate of 100%.